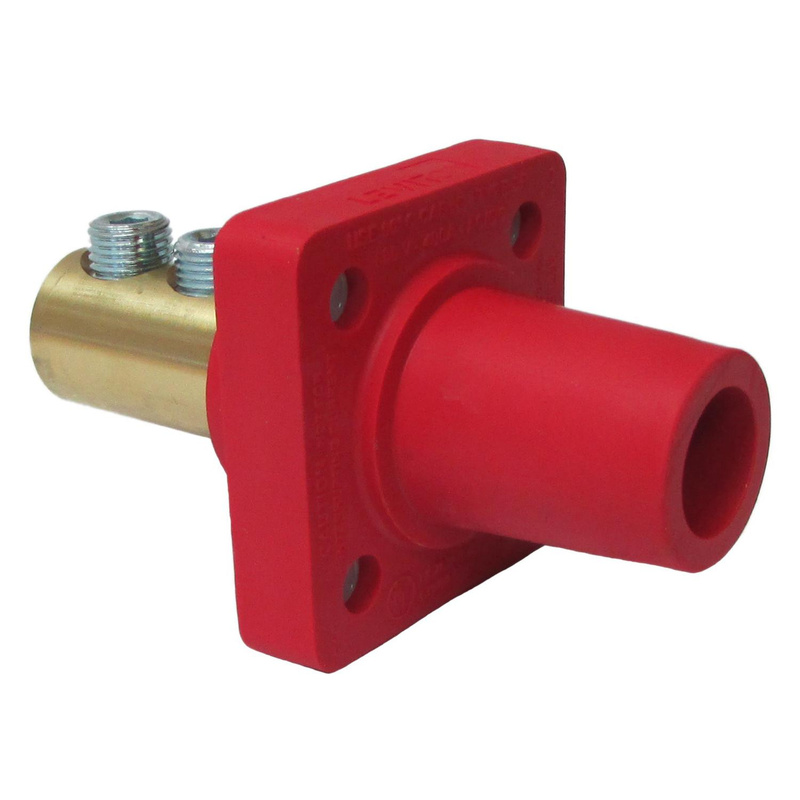 Leviton Rhino-Hide® 16 Series Cam Type taper nose 90-degree female receptacle in red color, has current rating of 400-Amps and voltage rating of 600-Volt AC/Volt DC. Receptacle with double set screw connection, accommodates wire of size 2/0 - 4/0-AWG. Panel mountable receptacle measures 0.86-Inch Dia x 2.63-Inch and is NEMA 3R rated. Receptacle is UL listed and CSA certified.